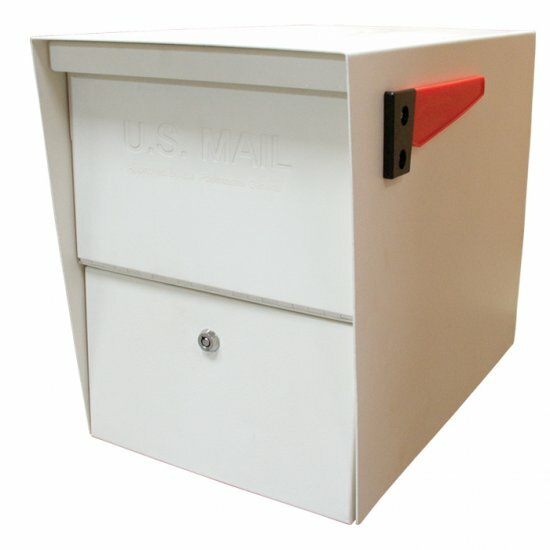 Regarding locking mailbox options for rural locations, there once was a time when mail was safe in non-locking rural mailboxes, but those times are gone. Additionally, it is also unsafe to rely upon wall-mounted non-locking mailboxes right by your doorstep. Although the standard rural mailbox still preserves its position in the country, there are many new locking mailbox options as well. Even in pleasant rural communities, mailboxes without locks are just not common. Today folks are replacing their curbside rural mailboxes with either improved safer mailboxes or they are incorporating locks to the mailboxes they currently own, should they be designed to allow for locks, to prevent identity theft. Of course, curbside post mailboxes with locks are popular today. The post mailboxes tend to be much sturdier than the normal rural mailbox thus letting them not only prevent identity theft but also to minimize the chance of vandalism as well. Today’s society requires ultimate protection for your mail, as identity theft is a real threat, which is why many homeowners are choosing to protect their mail from theft. The locking column mailbox is another more uncommon option for rural homeowners. Similar to the rural post mailbox, the column mailbox has a much sturdier post, typically made of bricks or comparable materials. Like the post mailbox, the column mailbox has the capacity to accommodate parcels as well. In addition, their strength and security make them great for home delivery of prescriptions since no one will be able to see or access what is in the mailbox. The most important thing that you must not forget when choosing virtually any rural mailbox is that it must satisfy postal regulations. You cannot just install a post or column mailbox anywhere on your property that you feel meets your needs; there are specific guidelines that post office requires postal customers to follow, and if you fail to adhere to those guidelines, the carriers do not have to delivery your mail. If you are in doubt, ask the postmaster that serves your own post office.